It’s no secret that when it comes to chocolates, Belgium has one of the world’s finest. Backed by centuries-old tradition of chocolate making, this European country houses more than 2,000 chocolate shops and 20 large-scale chocolate factories. However, despite the various types of chocolate you will encounter there, a Filipina found something lacking—the existence of cocoa chocolate tablets or, in our terms, tablea. 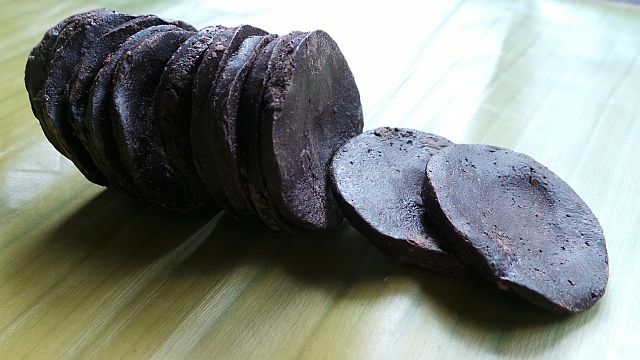 In case you haven’t heard of it, tablea or tableya is a hard, bittersweet, and traditionally round tablet made from cacao. Most people prefer to use it as a main ingredient in making hot chocolate drinks, chocolate cakes, or champorado while some, such as Batangueños like me, prefer to simply snack on its natural, unmixed form. Traditionally made tablea. Photo courtesy of Cebu Daily News. It’s a type of chocolate my tastebuds will always love and look for (I still ask for my great grandmother to make some every time I go home to Batangas). This is why I understand the disbelief of Marielle Flores-Moens, an entrepreneur from Cavite, when she moved to Belgium in 2018 and found that there is no such thing as tablea there. Who would have thought that one of the world’s top chocolate manufacturers doesn’t have a pure cocoa chocolate bar, right? Armed with knowledge (and probably a strong tablea craving), Flores-Moens decided to establish the first tablea manufacturing business in Belgium. Named Theo and Brom (derived from the scientific name of cacao, Theobroma cacao), the world’s first Belgian tablea is made by Belgian chocolate experts using beans sourced from the Davao-based cacao farm Single-Estate De La Serna Beans. Some of these experts include the multi-awarded chocolate maker Mario Vandeneede and cacao industry scientist Zoi Papalexandratou. Its only difference from the ones we normally see in the country is it’s made for sharing. 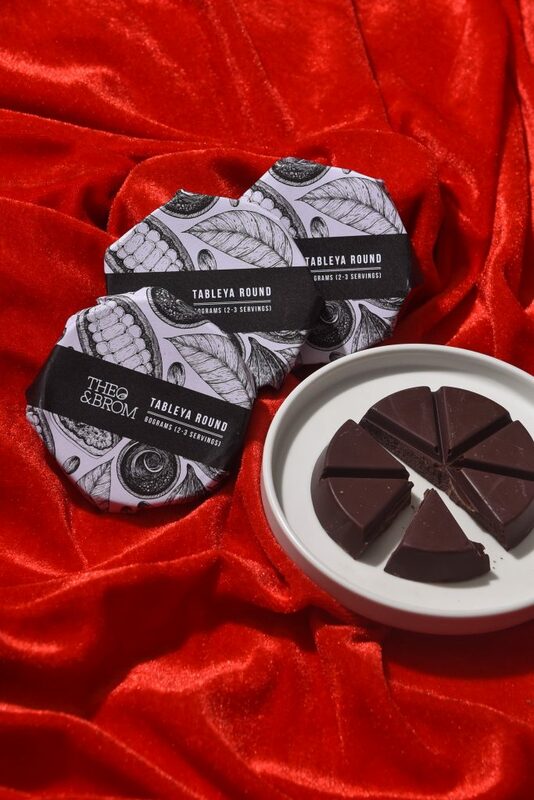 The Belgian tablea can be easily be split into six pieces—great for both snacking and making drinks with two to three servings per disk. Aside from the Philippines, this tablea is slowly rising to prominence in countries in Europe and the Americas. You can purchase Theo and Brom’s tablea here.